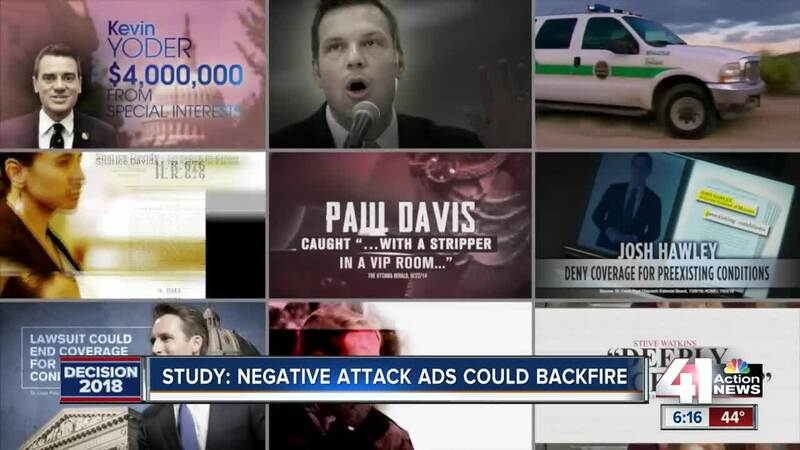 Do negative political ads work? Are you tired of all the negative political ads on television? A new study says a majority of people are not swayed. LAS VEGAS (KTNV) -- Are you tired of all the negative political ads on television? A new study says a majority of people are not swayed. 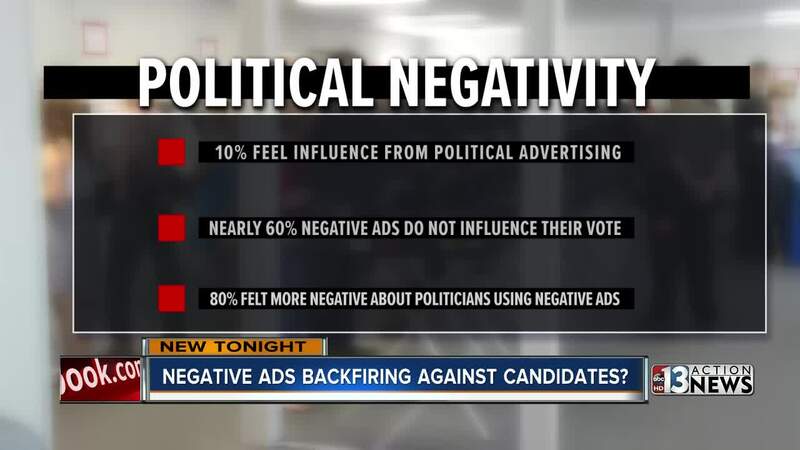 In fact, according to the Santy, a Scottsdale-based advertising firm, 80 percent of people said they think more negative about politicians running negative ads than the opponent they are targeting. "I said it is weird that they brought that up because political ads are almost 100 percent negative," said Adam Pierno, Santy's director of strategy, of the initial reaction to the findings. The company surveyed 300 people on brand advertising overall but ended up with significant findings on the increasing political advertising heading into the midterm elections. The study also found that only 10 percent of people felt their voting choices were swayed by political advertising of any kind. Santy also says nearly 60 percent of respondents claimed negative ads don't influence their opinion of the targeted politician. More than two-thirds also said they do their own research to fact-check claims in negative ads. The company knows it needs to do more research to determine how accurate the results actually are. "People are the worst predictors of what they are going to do," Pierno said. That's why Pierno said they are planning to follow up the study by tracking politicians named by study participants as running negative ads to see if they, in fact, win their races.